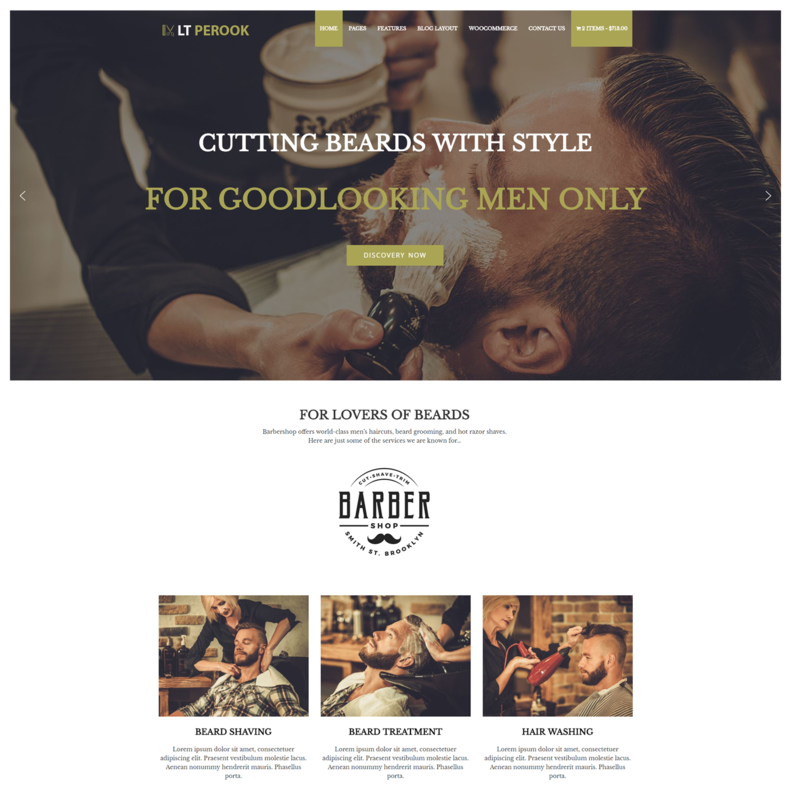 Don’t waste time and money going the long way round – get a professional Barber Shop WordPress Theme for your barber shop website now. LT Perook is responsive WordPress theme which provides a unique look for barbershop websites. 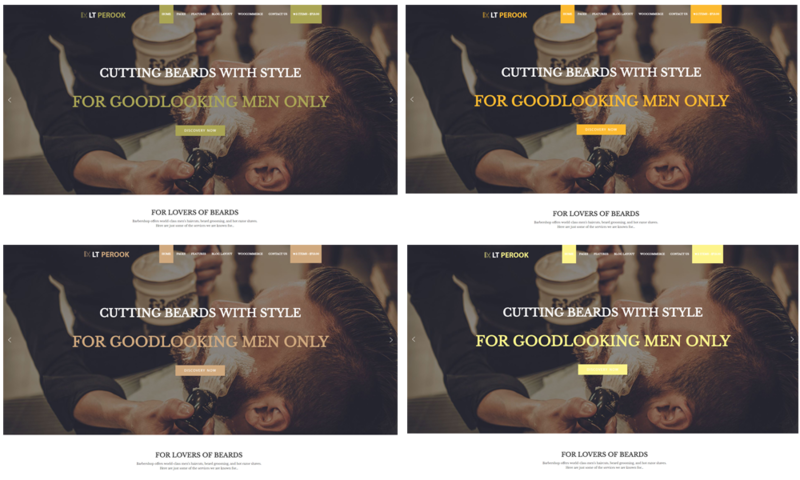 This Barber Shop WordPress Theme builds on powerful Genesis framework, support Dropdown Menu and Shortcode for present content easily. Our barber shop theme is coding compliant and come with Contact Form, Google Map, Google Web Fonts and other functionality built in for your convenience. LT Perook is compatible across browsers and devices too, so patrons can view your page and even book appointments from their mobile or tablet device. This means you can change every aspect of the theme, creating a new design with powerful features and great SEO tools. Besides, barbershop theme also comes with 4 color styles helping to create wonderful wordpress websites. When you buy Barber Shop WordPress Theme, you can get to work immediately on your website. There are no further coding or design costs required, and you can easily implement the elements of this theme to create your desired web presence. 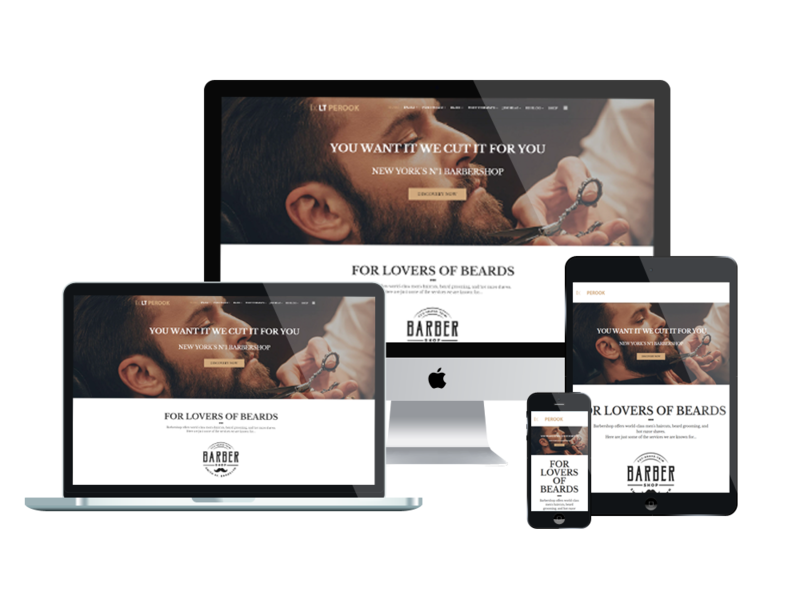 Take your online Barber Shop to the next level and buy a stunning Barber Shop WordPress Theme today!